Snow White became the Bandit Princess while trying to escape a queen who wanted her dead. After becoming the Dragon Slayer, Charming was trying to break free of a tyrannical king who wanted him wed. Unexpectedly, their paths would cross and thus began the epic love story we only thought we knew. Snow met David, posing as Prince James, while robbing his carriage of jewels so that she might survive in the woods. She gave him the nickname "Charming" and they fought trolls to retrieve his mother’s ring, originally meant for someone else. Neither could forget the other and their fateful meeting, leading both to make drastic choices. 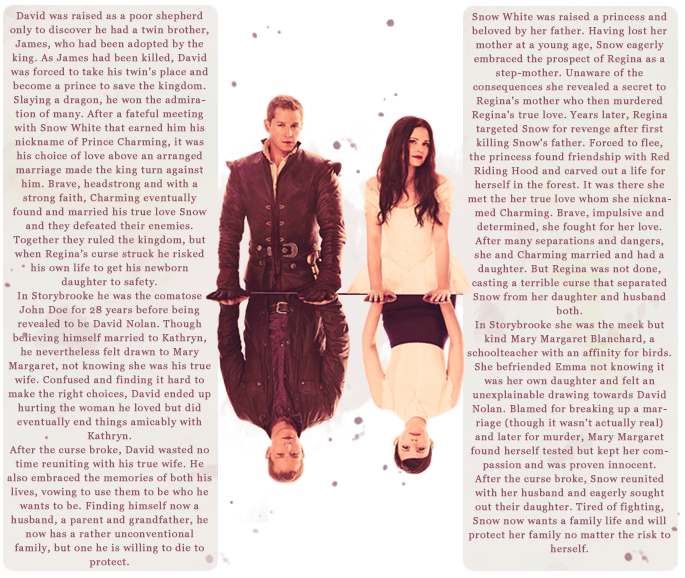 Snow decided to take a potion to forget her love while Charming decided to forego his wedding and find his love. He found her and saved her heart from darkness; she bit into a poisoned apple and went into a cursed sleep to spare his life. After finding her yet again and breaking the curse with true love’s kiss, Snow White and Prince Charming took back their kingdom, were wed, and had a daughter who would later break the curse cast by the Evil Queen. After nearly losing his life in getting his daughter to safety, Snow and Charming, along with the residents of the Enchanted Forest were transported to a land without magic where they were unaware of their true identities as a result of the curse. Despite this Mary Margaret and David were inexplicably drawn to one another. After fulfilling the prophecy and breaking the curse, their daughter Emma was reunited with her parents at long last. Shortly after their reunion, however, Snow and Charming were once again torn apart. Throughout this ordeal, their faith in each other did not waver, and Charming willingly went under the sleeping curse to save his family. Upon her hard-fought return Snow reciprocated and broke the curse once again with true love’s kiss. Now navigating the challenges of life in the modern world our couple is faced with the dilemma of where their home truly is: the Enchanted Forest, or Storybrooke. Whatever adventures lie ahead for our Bandit Princess and her Dragon Slayer, we look forward to watching them unfold, knowing that they will always find one another! 001. Because he awoke her with True Love's kiss. 002. Because he will always find her. 003. Because he found her. 004. Because they saved each other. 005. Because she named him and it stuck. 006. Because they fought trolls together. 007. Because even when they try they can not stay away from each other. 008. Because they both go to Granny"s at 7:15 so they can see each other. 009. Because they cannot get each other out of their heads. 010. Because the troll bridge is their spot. 012. Because even if he thought Snow didn't love him he still tried to find her. 014. Because they remember each other. 015. Because it was their true love that allowed the Dark Curse to be broken. 016. Because he went under a curse just so he could see her. 017. Because they make a great partnership. 018. Because they each know who the other is and have faith in them. 019. Because he thought she should celebrate her birthday. 020. Because he made her a birthday breakfast. 021. Because he holds her like she's his world. 022. Because they balance each other out. 023. Because they are adorableness personified. 024. Because it's impressive that after all this time, they can still give their daughter some traumatic childhood memories. 025. Because of their devotion to each other. 026. Becuase he is a gentleman towards her. 027. Because their chemistry is undeniable and off the charts. 028. Because they make a fairytale romance seem real. 029. Because they are badass and look good doing it too. 030. Because they can't stop touching each other. 031. Because even if she didn't remember him, she still brought a vase of flowers for him everyday for 28 years. 032. Because their love is constant. I started to love them as soon I saw the pilot. Their love was so strong and powerful even from the first scene they had. Then on the third episode I started to love them more. Their banter and how they acted around each other was beautiful to see. The ring scene in that episode was so amazing to see when Snow tried the ring on and Charming immediately understood that he was looking at his one true love. Their story has touched many hearts and it is that kind of love that most people is looking for in real life. I can't wait to see more how their story will continue. 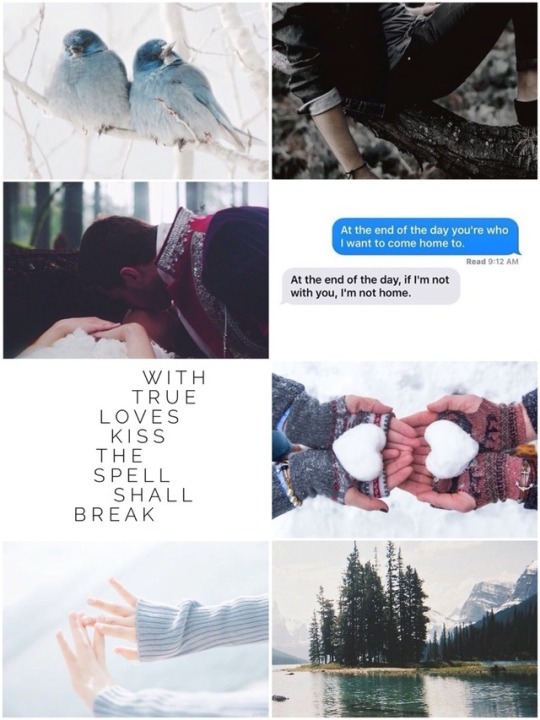 I love Snow and Charming for their partnership, the equality in their relationship, the strength of their characters and the strength of their relationship. I love them for what they were willing to endure to be together, how much they want to be together and that 28 years and a curse couldn't stop them wanting it. I love them for their jokes, their touches, their kisses, their chemistry, their maturity, their playfulness and their communicating without words. Quite simply, I love Snow and Charming because they so clearly love each other and will to eternity. It's true love - and got the potion to prove it. 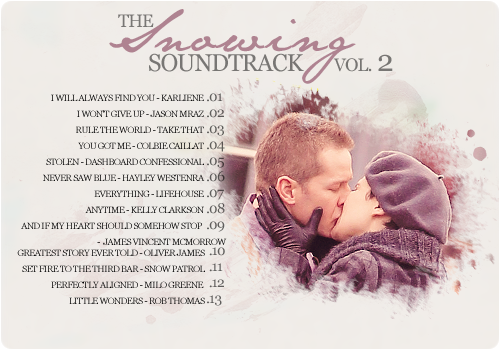 Charming and Snow...why do I love them? Simple their love is pure and unconditional. It stood the test of time when they were separated by the curse. They were willing to sacrifice themselves in order to save their daughter. Both have always been selfless even putting others happiness ahead of their own. They are the model of what true love is. Congratulations on 100 threads for my OTP on the show, Snow White & Prince Charming! They've always found their way to each other and true love exists because of them. Here's to 100 more threads of happiness for these two. This has to be my favorite couple on the show. they are so cute together. I loved seeing how they got together in the Enchanted Forest. How they managed to over coem all the challenges that we up in front of them. Meanwhile in Storybrook their relationship was \more heart breaking at points I still loved watching the up and downs. All that just made it when their reunion when they curse was broken even better. I love how hard they fought to get back to gether when they were trapped in two different realms. And I am so loving them now that they are finally together again and I can not wait too see how they go on form now. Reliving a timeless household fairy tale of prince and princess, Snowing scores a marvel. Their love story is at the zenith of romance, pure, fervent, idealistic, stitched of devotion, colored by passion and edged with faith. It holds the power that sweeps me off my feet and moves me into tears. Whenever they're up in a scene, it captures my mind and the world around me simply flies away. As a couple, they have been through ups and downs, joys and sufferings, reunions and separations, the happiest days and the darkest hours, good time, tough time, hard time, yet never bad time, because their hearts are always connected, like two brightest stars shining upon each other. Even if they're parted in two worlds, even if they're facing unmatched evil forces, and even if they're not themselves, one always finds another and rushes to set another free from danger, sometimes at the risk of life, of which the drive is undoubtable and unstoppable. Their chemistry is extraordinary and unparalleled, growing beyond the scope of a tv couple, affecting the actor and the actress in reality, making Josh and Ginny a pair of happy lovebirds on screen AND off screen like Rachel McAdams and Ryan Gosling. That is magic. Wow! We've hit the big 1-0-0!! I love this couple so much! Throughout all the trials and tribulations, their love for one another has remained steadfast and true. I hope to one day find someone who looks at me the way they look at one another, with love and a beautiful smile. I also love all the posters who post on the threads! I'm so very happy that I have reached this wonderful journey with so many magnificent fans! I look forward to another 100 threads with everyone! Snow and Charming captured my heart from the very first episode and have held on to it since. I find them most compelling because not only do they have the epic fairy tale love, but it has also been tested in the modern world. I look forward to their upcoming adventures as they navigate new challenges together and I also look forward to discussing them in the next 100 threads. "I came to get you before you got hurt"
"James" "Snow" "I got your letter." "Now that I know that you love me too"
You would really die for me? She finally said I love you back to him when he said it. Because we hope Snowing had a lot of Tacos on their wedding night. "You need to have faith in us." "You had it inside you the entire time." "Nothing in this world would make me happier." "As long as I had you by my side." "I knew what I was getting myself into." Because they went Medusa-hunting on their honeymoon. Because he picks her snowbells. "See the love I have for you in its eyes." 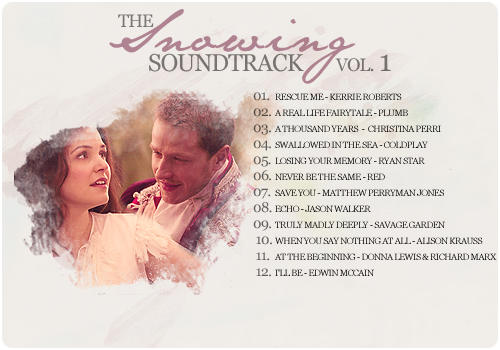 Because Charming is all "yep, I picked snowbells for my Snow, deal with it"
"I love you." "I love you too." "This is David, this is so David." "It's good to have an adventure with you again." "Maybe that's just what it does, shows you your own true love?" "As if we needed reminding." "Because you love me and I love you. Come on, somewhere inside you know that." "I know she's fighting for me just as hard as I am for her." "Remember: I will always find you." "What makes it even better, today our story starts anew." Can’t believe I’m going to be watching a new episode of OUAT this week. Feels weird. But anything for Snowing! So looking forward to seeing them again. Yep, next week. They were in the promo in several shots as well, so looks like we get more than one scene with them. I am so excited to see them onscreen again. I have missed them so much.